Rick Mears joins Service Scouts! “I’m excited and honored to join Service Scouts! I began working with Jim Smith and Service Scouts in 2000. Jim’s positive enthusiasm, and passion for quality guest service is motivating and desire for continual improvement in the area of quality guest service matches my own”, said Mears. Rick recently retired as Vice President, Guest Services of the San Francisco Giants Major League Baseball organization based at Oracle Park in San Francisco. Rick held this position for 20 years and 21 Major League Baseball seasons. During Rick’s tenure the service culture at then AT&T Park was legendary throughout the sports and entertainment industry. Rick trained nearly 2,000 event staff each year in customer service kindness, and led the effort for organizational accountability for service kindness. Fellow Giants front office executives and industry peers refer to Rick as a never wavering evangelist for organizational service excellence. 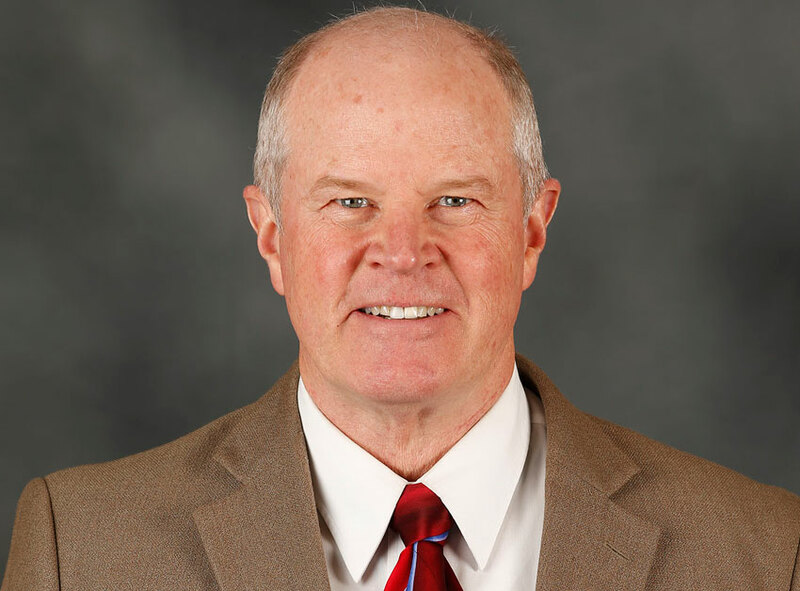 Prior to his tenure with the Giants Rick served the San Jose Sharks National Hockey League team and the event staff at then San Jose Arena as Director of Guest Services. During his time with the Sharks San Jose Arena earned national recognition for leading the finest customer service experience in the National Hockey League. In the early 1990’s Rick served as General Manager of Recreation Hall and Recreation Swimming Pool at the University of California, Davis. There he led a high performing group of university students in the operation of a very busy 9,000 seat arena and campus recreation facility. Rick Mears is a highly respected and sought after public speaker and trainer for achieving customer service excellence in business. He is a regular guest lecturer at NYU, Cal Berkeley, UC Davis, Sierra Nevada College, and the University of Montana. Abram has been a scout with us since 2008. He has completed 75 evaluations and earned a 9.26 average rating. He turns in timely reports that are thorough. His reports need little, if any, editing, and he provides detailed narratives. His information often goes above and beyond our minimum requirements. When he finds important information while on the job, he lets us know during the course of his event so we can turn it in to the client as soon as we find out. Abram is a great scout and we love working with him! Is Safety & Security critical at your venue? Service Scouts announces our new Security Intrusion Red Team Program. Along with our thorough Private Investigator services (Lic #2604), our scouts are now trained to report on security and safety at your event or venue. Backed by the credentials of our PI license, we are excited to offer you a full security suite in addition to our Guest Experience assessments. Similar in cost to our Guest Experience assessment, our new Security Intrusion Red Team assessments can be combined with your current reporting or produced separately. Each survey will be customized to your building features and will include a narrative and photos of the employee/subject areas evaluated. Credential Checks Scouts use invalid credentials to try to access points such as front of house, back of house, clubs, suites, perimeter. Contraband Checks Scouts attempt to bring items such as Laser pointers, Knives, Pepper Spray, Wrapped Gifts, etc into the venue. Vital Infrastructure Checks Scouts test accessibility of areas such as HVAC, IT or Mechanical rooms. Our Security Assessment team is ready to start immediately. Contact Jim Smith today. Melissa began scouting for us in 2016 and has evaluated 64 events in that time, with an average scout rating of 9.32. She picks up last-minute additions to the schedule, rarely (if ever) cancels, and she turns in timely and complete reports. On multiple occasions, she has stepped in at the last minute when the originally-scheduled shopper cancelled. We appreciate her hard work and dedication! We enjoy working with Melissa and look forward to our continued partnership! Keisha started scouting for us in 2015, and has evaluated 90 events in that time. Her overall rating is a 9.13 because she turns in thorough, complete, and timely reports. Because of this, we invited her to be a scheduler with us. She consistently takes on new areas and meets the challenge head-on. After scheduling with us for over a year, she has now been promoted to the Director of Assignments and Training. Keisha is a major asset to our Service Scouts team and helps out wherever she’s needed the most. We love working with Keisha and appreciate all of her hard work and dedication! Yolanda J is one of our newest shoppers in her area. She joined us in August of 2018 and has performed dining, event, and retail Scouting so far, earning an average rating of 9.0. Yolanda has been recognized by our clients as being thorough and detailed. She communicates with us to ensure timely responses and improves her reports based on the ratings of each of her events. Yolanda is one of our best assets and we are so excited to continue working with her in the future! Michael S is one of our newest shoppers in his area. He joined us in July of 2018 and has performed seven (7) game and event shops so far, earning an average rating of 8.7. He picks up last-minute openings, does a thorough job, and writes professional reports. He communicates with us to ensure timely responses and improves his reports based on the ratings of each of his events. Michael was a lucky find and we are so excited to continue working with him in the future! Valerie has been a scout with us since 2014, and has an overall rating of 8.5. She was asked to be a scout coordinator on our team in 2017 and has been working with us since then. Her reports as a scout are on time, thorough, and well-written. She has an eye for detail and we can always count on her. She started as a coordinator just over a year ago and has become on of our superstar editors. We love working with Valerie and can always count on her to help us out, especially during high-volume times. Congratulations, Valerie! Anthony smiled at me as I approached. He said, “Hello, how are you today?” I answered and asked him the same, which he responded in turn. He asked what he could get for me. I told him I forgot my glasses and couldn’t see the menu that well. He offered to read what I wanted to see. He pointed out the pastries and sweets that they had left and read me the names. I told him I was hoping for a cupcake and he apologized but told me that they had gelato. I agreed, and he pointed out the flavors to me. I asked for a few samples, as did my guest. We chose the flavors we wanted, and he made the scoops. He handed the cup to my guest and took our gelato over to the register, where he told us he was training another employee, Alicia. She rang up the order and he assisted her with the register. He said, “I need a name for the order,” and I gave it to him. He said, “Eight dollars, please.” I swiped my card and he said, “Can I see the name on your card?” I showed him, but it was a temporary card and didn’t have my name on it. He said, “Okay, it’s okay.” He gave me the receipt and said, “Thank you. Have an awesome day!” When I walked up to the counter, I could not see to read the menu. I told Anthony that I could not see it, and he offered to read to me the whole menu. He read what I was trying to see, along with all the flavor labels, so I could make a decision as to what I wanted, all while wearing a big smile. Daniel J began shopping with us this summer and has been a great new asset to our team. He has completed nine (9) events, turned everything in on time, and has a shopper rating of 9.14, which is fantastic for a new shopper! He has helped us out when we’ve had last-minute cancellations and has provided complete evaluations, full of valuable information. We love having Daniel on our team and look forward to his bright future with Service Scouts!